Are you communicating effectively? Living in a hyper connected world means nothing if we do not connect. To connect we need to communicate- communicate to inspire people to excel; to partner with people and communities; to engage with clients and to help them move closer to their goals. But, this is an area where not just people in general but also most leaders struggle. The reason- they fail to tell their story effectively. Mostly, communication is understood as transmission of information. A narrative to make it a meaningful conversation is missing. In today’s transformational times it is critical for people and leaders to influence others by cultivating an authentic, trustworthy and compelling narrative. Leading ourselves and our people requires us to tell our stories to engage our audience. When we have been able to engage our audiences- we have been able to communicate effectively. We have lived our story. How are you engaging with your audiences? Leaders- how are you developing your stories of transformations? Do effective, tough conversations help build great teams? Scene: First 3 months of my team leadership @one of my earlier organizations. My boss & his boss (also my role model on leadership), called me for a closed-door glass cabin meet in the bay where my team was seated- physically at their desktops but virtually in the cabin. Action: I walked in for an applause. Yes! Surprise: “Shivani, why has Mr. X resigned?” I was held accountable for it! Reaction: I looked out- My team’s smiles said it all. Felt defeated, but I decided to call a team meet. Result: It was tough to do a meeting where all else except me seemed winners. But, effective, tough conversation made by my role model invoked worthy actions from me. Learnings: It’s never a good feeling to live through a story where you’re solely made accountable-but great leadership asks of us high degree of heroism on accountability. I realized-only way forward in such situations is not by justifying old actions but through new worthy actions. How do you do effective, tough conversations? Which thoughts are becoming your beliefs? What you do not believe, you must not say, for you will never accomplish it, though you may repeat the words ever so often! And, what you believe, you will always accomplish or get closer to it through your action, though you may never repeat the words so often! What for you is the essence of your life? I’ve always been amazed by the hasty side of human nature where people over-speed in the process of acting, assessing, judging people/situations & deciding the way forward. My question: “What compels one into over-speedy decisioning or as I call it-a hasty decisioning?” Is it the need to over-speed or lack of certain attributes? The rise & fall of many individuals, empires and businesses since ancient days till this day due to over-speeding blindly amidst situations of their times- makes it evident that while Speed maybe crucial to succeed in today’s hyper-dynamic world, failure to pause and reflect to speed right is fatal! Today, we need to deal with every succeeding information & possibilities speedily enough to be in the race! How do we do it? Do we over-speed or do we carefully evaluate options while keeping distractions at bay while also being speedy enough to be in the race? While speed is the key part of any developmental strategy today, we all know that over-speeding can be more catastrophic than slow speed! It leads us to surge forward without a balanced plan to create something that will last. What in your opinion are the attributes needed to succeed in this world of High-Speed? How do you intend making these attributes a part of your/your organization’s DNA? Are you doing enough of what you’ve set out to do? The truth of success lies in ‘Persistence’. Many dream, some nurture those dreams as well, but very few live those dreams to reality. Why? Why after having chosen your path are you not abiding by it? Why are you giving in and bundling yourself with the lot- full of qualms and regrets? Are you afraid doing more of those? Who says excellence comes tiptoeing, dancing into one’s arms? Alexander during his war with Porus, waded through the Hydapses river in the middle of the stormy night fraught with torrential rain & lightning. Several of his men died and were burnt with lightening. Alexander- breast deep in water, kept through it all- eventually landing a footing on the slippery, unsteady land on the other side. Do you know of such unnerving, desolate side of the story to success? Are you in obedience to such disturbances shaking your ‘Will’ and dissuading you from advancing? Or are you reigning them with your unremitting ‘Grit’? What is different in the making of these Gritty lots? How are they able to ignore all challenging externalities and continue advancing to their own calling? Want to share your views? Every moment is different both in its influence and its consequential effect on life. The moments that establish hope ring in briefly than the moments that stream into hours, days, years- where discouragement, gloom and desperation dictate our vision. Yet, we continue to live on. There is so much depth & force in those pithy moments that we are compelled to attribute more reality to them than to all other experiences of dashed hopes. That is how powerful even those brief moments of hope and positivism are!! Most of the time, opportunities arrive shrouded in layers of difficult moments, that we so habitually with all our negativism miss to see through our naked eyes. They stare us in the face, but we see them not until that moment when our mind is ripened enough to behold them. And when we do, it appears like a precious dream moment arriving to us fortunate ones, whereas, in reality, these moments indefinitely awaited our attention!! It seems only right to say that ‘the state of our being’ truly depends on the ‘depth of the sentiment’ with which we live life. No great moment arrives tagged as ‘One’. It is only the heightened peak of the several ordinary moments in which we most deeply and faithfully conduct our lives’ actions. 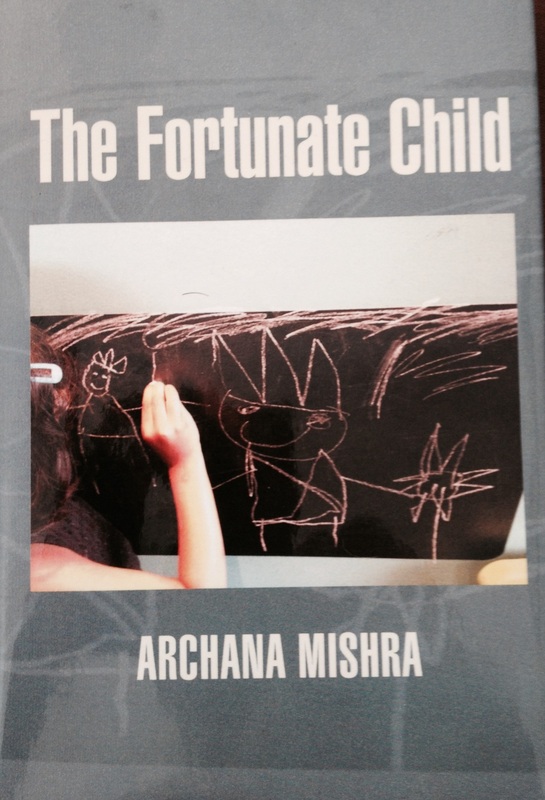 “The Fortunat e Child” is a gripping story about Rohini- a girl from India, besotted with a purpose of “Education for All”. A sense of purpose, she inherits while feeding on her grandmother’s account of her grandfather, who was committed to the cause of “Education for all”. The story progresses in the early part, clearly emboldening Rohini’s sense of purpose. But, the reader in the latter part is sensitized to the fact that: “having lofty ideals does not always translate to action.” Rohini dreams to be like her grandfather but, it falls apart when unmindful yet factually, she starts mirroring the ills of society that her grandfather so stood against. This narrative brings along, a deep-rooted prejudice nurtured by Indian society: a once upon a time so-called fluid classification for “Division of Labor”, later exploited as a watertight “Caste System” in the literal sense. Child abuse by the caretakers & gender inequality are other issues highlighted in this book. Alongside above, the story also brings up the positive changes catching up in the urban and semi urban pockets of India: Girl child education and encouragement, the fraying walls of caste system among third generation in the story & gender equality. Rohini’s tallness, right from her childhood when she questions everything that does not fall within her unadulterated fairness, is baffling! What is heart-rending to note is her ability to make peace with her family, despite enduring violation as a child. Each time she stares at the ceiling her unanswered questions find solace in its highness. It’s also interesting to note the existence of a strong lady-Damayanti (the grandmother of Rohini), in a truly patriarchal society of her time. Her characterization exudes strength, someone who conducts herself with grace and fearlessness, despite her moments of weakness staring at her in the living form. Last but not the least: it’s encouraging to note the depiction of Rohini’s husband- Ajit, who is very caring towards Rohini, his family, and every other person he comes across. He does not preach idealism, yet firms up to every right cause. His realism makes the reader fall in love with his character. To sum up: the book is a simple and unpretentious attempt at “Fiction writing with a purpose.” An interesting revelation of what it takes to commit to a cause. What is also, very interesting to note is the looming paradox of being “fortunate” and “unfortunate” at a given time! This narrative gets more consuming as one reads further, to find out if Rohini remains stuck in that deep pit of diverse limitations, or, her ideals & action synthesize, and how. Tell your Papppa (Papa) to…. My life till date has been full of twists and turns. So habitual to the drama element, that if it goes smooth- I fail to imagine it! This is a comic scene epitomized- a diary account from March 2007. I had just relocated to Bangalore and was learning to drive. Like all novices, I tried getting my acts together by running short errands like- grocery shopping- on my own. During those days, I was the type- “who once left her car at the turn of the road- blocking the traffic, only to walk down to another car stuck in the same traffic- asking the driver to help- pull her car to the side!” People who know this- would be laughing on this account. But that’s OK! Turnings, and parking in and out, were my most difficult driving activities then! After grocery shopping from M.K Retail, I was trying to reverse my car in the open parking area, onto the adjoining service road. Despite incessant whistling of the watchman, I was nervous and damn slow at the act. To add to the misery, a White Scorpio vehicle zoomed in to stop- just behind my car! If it was now, probably I could have tried reversing it diagonally. But then? No chance! I was sure to bang his “looked like new” White Scorpio. So, I started honking, before he got out of his vehicle- which kind of annoyed him. The 2nd watchman also joined his mate to tell off the man. This made him to move up his car to park into the parallel space beside mine. And you know how you feel, when such stuck ups lose- I had my face beaming with joy and my ready to burst laughter, cooped up in my cheeks! Just then, I saw this fuming man in his all white attire, get out of his White Scorpio, and walk towards my car like a hissing wave. Yes! I was on- “on my guard” reflexes- centrally locked and power window keys pressed tight. But you know what? I was scared! Damn scared! I was thinking- what if he slapped me man? Watchmen were there, but he looked heftier than the two of them put together! So, I preferred ignoring the ignorant. And believe me! I felt damn OK, once she said that to me! The “Kind of Palm” behind the Buddha. This is from the recent accounts of my diary-October 2013. We had some new friends, joining us for a weekend bash! 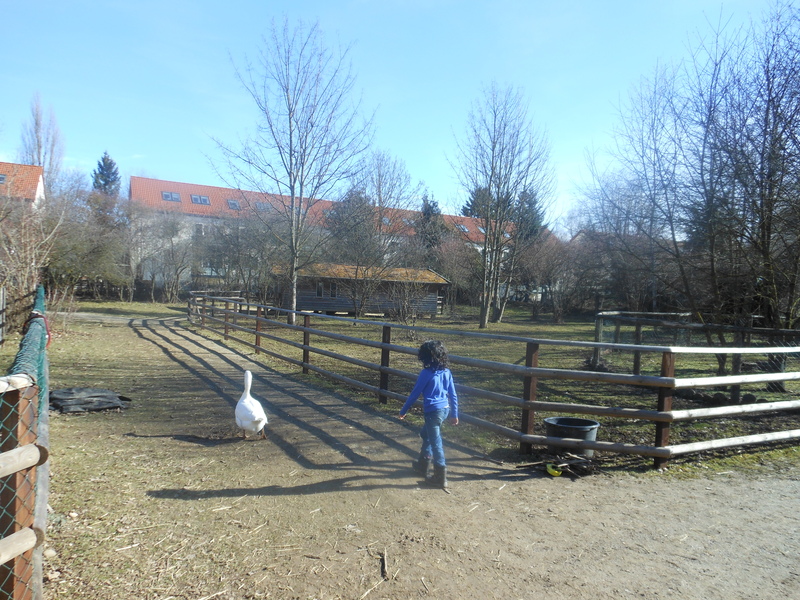 We moved into a fully furnished house, on reaching Munich. But, you know, how it is with women! “We can spot plenty miss outs, if, we have not participated in the earlier set up.” So, I took my husband’s travelling, and, my daughter being at school, as an opportunity to quench my “being woman syndrome”. I sneaked out for some decorative spending, with two huge stroller bags. I shopped every item on the list, with, just about five items more. And, you know! It’s absolutely fine by women standard! Post billing, I just about dragged myself to the U-Bahn (underground train) station, with my bags, and a half zipped backpack housing my much possessed “kind of palm”. I gathered gazes all along! No! I was surely not in my best dressed looks that day! They were only curious to watch me pull so much on my own! I did yearn for help then, but never really expected one! Thanks to the early age programming: “take care of the belongings and do not trust strangers!” The tutoring springs from bitter experiences after all! So, all by myself, while I waited for the train hoping nothing happened to my “kind of palm” treasure, I suddenly felt some weight off my back! I knew the half closed zips had relaxed. In sudden reflexes, I glanced over my shoulder for the falling palm, only to discover a hand holding it! With half perturbed, half “Oh my God it’s safe” looks, I looked up to find a lady with an angelic smile, probably in her 50’s, holding my treasure. She was waiting there to board the same U-Bahn. Yes! She had spotted the dangling “kind of palm”, and grabbed it before it displaced itself, much to my dismay! I placed my treasure back into the backpack. The train arrived and I got in, all intact with her help. We both had to change at the central station, into different U-Bahns. She offered me help to get into the final U-Bahn, which meant crossing over for the platform. All along, I kept looking into her face, to ensure she had no accomplices around waiting to run away with my bag. I know now, I was undeniably mean! Each time I glanced at her, she smiled back radiantly. For a moment, I thought, she expected some cash for this favor. But, she did not ask any, and, I did not offer. How could I? What if she got infuriated? The U-Bahn arrived, and she helped me get in. I hastily said thanks, before she quickly got off and the doors slid on. The last glimpse I had of hers was, while she was rushing to the escalator for her U-Bahn, waving at me! I had a deep, sinking feeling, realising I’d messed up! I’d lost some precious moments, back in time! At least, I could have known her well, and, savored the experience instead of languishing all along. But, I swear! I could not help being in delusion! The good has got so scarce, that coming across it, seems an errant to the norm, not in sync with the commonplace beliefs!